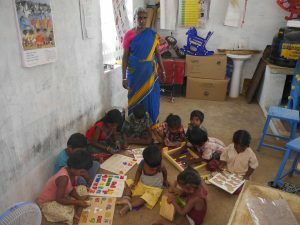 The project was to support the flood affected families living in the 10 most affected villages of Kattumannar Koil Block in Cuddalore District. Based on the levels of flood damage caused to the houses, a total of 504 families were selected for the reconstruction work. The beneficiary households consisted of widows, disabled persons, single parent homes, and elderly. The sufficient number of masons and construction workers were provided. The plinth size of the house is 16’ x 11’. The unit cost of Rs.11500/- was provided as grant and the remaining amount will be borne by the beneficiaries themselves. Appropriate technologies favorable to the local conditions were utilized in the reconstruction process. No specific model or size of the house was enforced to the beneficiaries. The beneficiaries could make any change of their choice in the construction on their own expenses. This created confidence and satisfaction among the beneficiaries who involved in the construction of their houses. 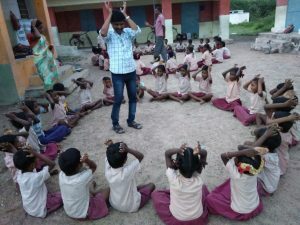 REAL supported the communities to construct 86 houses with hollow blocks, 75 houses with mud blocks and 343 houses with country bricks in the 10 villages of Cuddalore District. An immediate concern after the Dec. 2004 tsunami was to provide permanent housing for the internally displaced persons who had either lost or sustained irreparable damage to their homes. 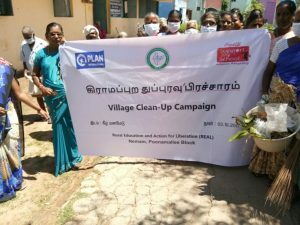 REAL with the support of Plan International (India) underwent constructing 276 disaster-resistant housing in the villages of Nochikuppam (115 units) and Sothanaikuppam (61). The new houses built for tsunami affected communities are approximately 325 square feet and made of brick with steel-reinforced columns and beams. They have a laid concrete roof which is accessible by an outside staircase and is enclosed by a parapet wall. Each house has a toilet with an outside entrance, and each consists of two rooms – kitchen and hall. It has 3 doors, 4 windows and 1 PVC Door as well as 2 cement jallies. 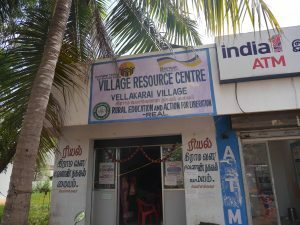 In order to provide the tsunami affected families permanent houses which could safeguard them from disaster in future, REAL, with the support of KKS – Germany undertook the construction of 100 houses as the executing agency for beneficiary selection, house design, and construction in the sites allocated for the beneficiaries with government approval at Vasavankuppam village. The new houses are approximately 325 sq. feet and made of brick with steel reinforced columns and beams. They have poured concrete roofs. The roof is accessible by an outside staircase and is enclosed by a parapet wall. Each house has a toilet with an outside entrance, and each consists of two rooms – kitchen and hall. It has 3 doors, 4 windows and 1 PVC Door as well as 2 cement jallies. REAL has focused on designing new houses to modern standards, including quality materials, good quality finishing and strong construction. We took the initiative to construct houses with pucca structures for the dalit and most backward communities in REAL’s operating area. For the Dalit families, the building designs vary in each area according to the resources available. The houses are designed to provide low-cost, but high-quality structures. The Dalits are socially exploited, economically marginalized, culturally segregated and educationally backward. Generally they are very poor. Their living conditions are usually unsafe and inadequate. 90% of the Dalits live in huts made of palm leaves and mud walls. The huts get damaged easily even with light rains or wind. They have to expend a lot of their savings in maintaining the huts to replace the roofing and rebuilding the walls. 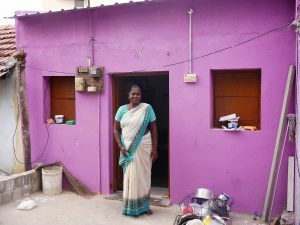 Hence, with the support of Concern World Wide-India, REAL ventured into the construction of low cost housing to 132 families at Ennayiram and Anilady village. The minimum size of the houses was 20 x 11 ft. Further, we have encouraged families, if they have their own resources to invest, to go in for a bigger size and add certain other features like cupboards, electricity connection, etc. The project was completed on April 2008. The unit cost of the house is planned at Rs.50,000/- per house of which Rs.30,000/- is given as grant. This grant amount is utilized for the purchase of bricks, cement, sand, chips, door frame and labour cost for the masonry work and the rest Rs.20,000/- will be contributed from the beneficiaries’ side. 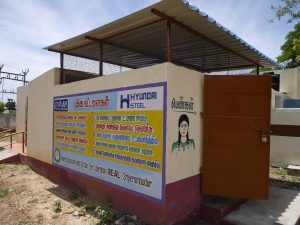 The project was to construct low cost houses in the second line villages of Villupuram District. The estimated cost of individual unit was around Rs.61,000/-. The plinth area of the house is 220 sq. ft. The physical plan included one family room, kitchen and verandah with attached bathroom. The houses were constructed using materials of permanent and durable type. Each family contributed to their individual houses through equal sharing. Rs.22,500/-per house was contributed from Concern World Wide as a grant. Habitat for Humanity India contributed Rs.22,500/- as loan to be repaid. The individual family bore Rs.16,000/- through loan assistance from the national bank and local SHG. The Habitat component was recovered from the beneficiary in monthly installments over a period of 5 years. A low interest rate was charged to cover inflation and loan administrative cost. 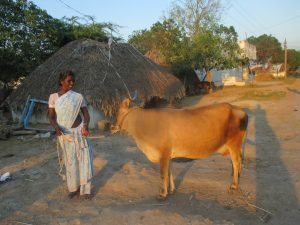 As a risk reduction measure, the Government of Tamil Nadu formulated a supplementary project to identify all vulnerable houses located along the disaster prone coastal areas (within 0-1000m from the high tide line) previously constructed under the Indra Awas Yojna and other Government Schemes. 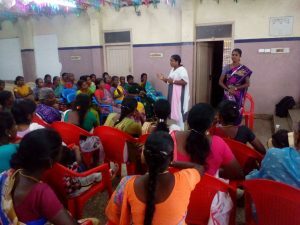 Having identified our humanitarian commitments, REAL was selected as “Third Party Facilitator” by the District Collectorate to implement the Rajiv Gandhi Rehabilitation Package in the Villupuram Region. REAL facilitated in identifying the needy by conducting community level meetings and in the verification of actual beneficiaries. Through the exercise we have identified 372 houses in Villupuram District and another 414 houses under the Tamil Nadu Slum Clearance board, and we have submitted the reports to the respective authorities. There were several permanent constructions along the coast undertaken by various agencies for the tsunami affected, but due to delay in completion, and cost escalation, many agencies were not able to complete their housing project for the communities. There were deficiencies in sewage facilities, doors, construction of compound walls, lying of weathering course over RCC roofing etc. 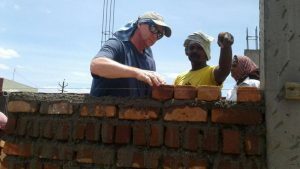 In the year 2009, we engaged in the repairing of these houses, retrofitting and improving the living conditions in the tsunami affected villages of Nadukuppam ( 220 houses provided with soak pits), Chetti Nagar (construction of safety wall for 100 houses), Mudhaliarkuppam ( fixing of grill doors on 134 houses), and Koonimedukuppam (laying of weathering course above the RCC roof for 110 houses). 400 houses were repaired and upgraded to safe living standards in Marakanam and Ennayiram region of Villupuram District. The repairing and additional work undertaken has helped the families to secure their houses, have proper sewage lines, reduce the discomfort of the heat, and above all make their dwelling place more comfortable for living.